The long poem Myths & Texts was Gary Snyder’s first book, written before he wrote Cold Mountain poems or Riprap, though they were published before Myths & Texts. This was not widely known, but the critics now accept and use the order to explain certain aspects of Snyder’s thought and writing practices. The poem has elements of Snyder’s personal history but the collage structure recalls the scholarly process of cut and paste quotes, examples and opinions inserted into articles, theses and dissertations. His Reed College thesis, He Who Hunted Birds in His Father’s Village: Dimensions of a Haida Myth, used such multiple sources and techniques. The techniques of this type for poems were present in three of the most famous long poems in modern English: T.S. Eliot’s The Wasteland, Ezra Pound’s The Cantos, and William Carlos Williams’ Paterson. Snyder knew all these works and authors. By the 1950s such methods of writing poetry and prose were not unusual. However, academic critics regarded it as risky, fake avant-garde, passé, or just rude. The New Criticism discouraged the personal in poetry, prized the ironic and/or neutral tone, and an urban or European setting. Poetry, they maintained, is best interpreted without recourse to its author’s intentions or its historical context. Some academics claimed all invention had ceased to be necessary because all inventions within the Modernist tradition of invention had been already tried. To call this particular time in American literature conservative is an understatement. This academic fashion judged poets and other artistic innovators as suspect or irrelevant; critics were essential. 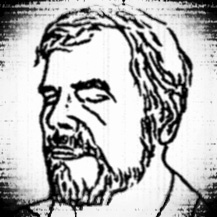 With the rise of the universities as the centers for intellectuals and the gradual disappearance of “the man of letters” (who wrote literary opinion, reviews and literary history for popular venues) the academically based literary or art critic was more important than creative artists and affirmed the critic as the acknowledged arbiter of taste and societal approval. Publish or perish for job tenure cemented this role. The official USA poetry became tame or outright dreary, largely produced by pre-approved academic poets. Political and social repression was common, free speech censored, and paranoia a product vended by the U.S. Government in the name of freedom, democracy and the American Way of Life. 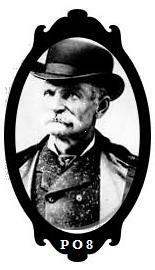 A state of constant war preparation and vigilance was demanded of American citizens. A multi-level picture of this society may be viewed in the documentary The Atomic Café. Snyder’s long poem did not involve itself much in the 1950s, for all the above reasons, preferring to engage a large long view of time and culture. The poem’s settings are distinctly Western (as opposed to Eastern seaboard); as Snyder’s dominant interest was wilderness and wildness and how they co-existed with or in societies around the Pacific Rim. His setting was neither urban nor European, although both cultures enter the poem. 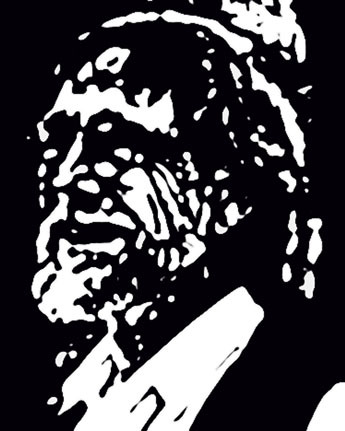 His characters—animal, vegetable, mineral and human—often exist in a state of transformation and transmigration. Few return to the poem after their initial scene—so there was never any dramatic through-line for the poem. If we pretend we are new to any book, we may make some observations as we hold it and then open its first few pages. Myths & Texts’ first edition cover features a sumi brush characters for its title, and its sections are illustrated with sumi brush pictures. After the title page, the acknowledgements page features a quote from The Bible, from Acts 19:27 about how “our craft” is imperiled and why both “the temple of the Great Goddess Diana and her magnificence” must be razed because she has devotees in “all Asia and the world”. The speaker is an artist Demetrius, a silversmith, who says his craft will be lost along with other idols of worship if the Apostle Paul’s commands are carried out. The next page displays a sumi-brush version of a pine tree, the word Logging, and leafing ahead we see that the other two sections Hunting and Burning have similar brush illustrations. Obviously, after only a few lines into the poem, this book has taken a different point of view from the dominant culture in which it was published. This part of Myths & Texts is titled “Logging” but talks about fertility rites during astronomical events, rites that occurred before the Cold War 1950s, but how some Western societies keep one vestige of those bacchanals in May Queen ceremonies, where school children dress up for twinning ribbons around a May Pole. Io was the mother of Dionysus and that Greek myth is conjoined to a Coastal Californian Native American myth about the setting of the Pleiades stars as the sign of spring. Reading on, the words and concepts sometimes come from that culture, but not the official mouthpieces, such as television, Time magazine or the New York Times newspaper, but rather from other sources: ecumenical religions, anthropology and art history, from vernacular, biological and industrial texts. This poem itself multiplies through the infusion of both myths and texts, dealing with death and destruction, fertility and renewal, all feeding each other and creating one new synthesis after another, voices conjoining other voices, to multiply into multiple myths and texts. 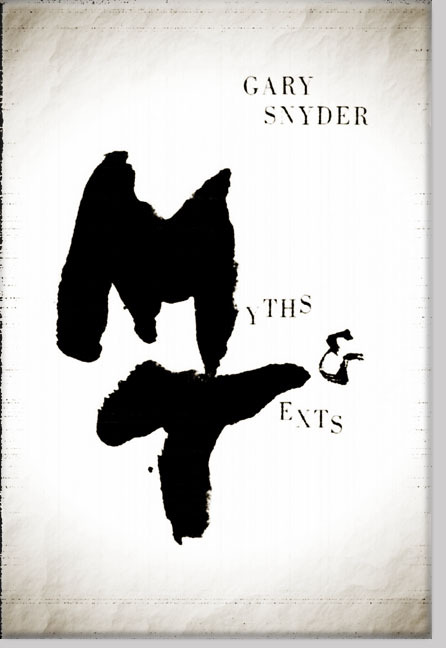 So Snyder is engaged in “mythopoesis” by describing particular sensory experiences—texts—and juxtaposing and melding them into myths that nourish and promote formations of culture. The three sections deal with the following subjects. Logging: the devastation of the natural world and whether the damage may be undone before biosphere regenerates. Hunting: the recovery of animal sensibility through wise adaptations of alternative belief systems. Burning: transformation of all living beings via a deep spiritual reality within a whirling galaxy of experience. Who Is Talking? Who is Witnessing or Doing these Things? So the voice you hear may not be Snyder’s narrator, but some voice inside a larger more complex narration. The same goes for the Witnesses in this poem; Snyder is not necessarily the witness or the voice for the witness, even if the passage does not have quotation marks around it. Some voices are masks, only one aspect of a given culture given over to a fictional character. There is also more than one consciousness watching or involved in the actions. We can realize that belong to some place in the United States or that they belong to the Turtle Island Tribe. Or both. And in those roles they may change their ways of speaking or addressing a situation. These alterations or morphing of speaking roles happen often in Myths & Texts. This suspension or transformation of a particular human or generic actor or perceiver has its roots in various religious rituals, in Vajrayana (Tantric) Buddhism, in ecological techniques and also in the poetic practices of Snyder’s favorite Modernist writers. The poems inside Myths & Texts’ sections are full of human beings, however they are neither the center of attention, nor are they a protagonist in a drama, an existence or the behaviors of other human beings. Snyder at times does or doesn’t write from an anthropocentric or ethnocentric point of view. And drama, with protagonists and antagonists, with conflict or transformation via motivation, opportunity and intentions, for Myths & Texts often occurs in fragments: a labor strike, a love affair, or a family crisis. The sources for such human comedies or tragedies are outside the poem’s sections; the contexts for the players are outsourced, brought in only as a part of the ongoing collage or montage. We only see facets on them at any one time; again in as in the metaphor of Indra’s Net, a single facet may reflect other webs or gems elsewhere in the interpenetrating spaces of our reading experience. Here we look at how the texts evolve into myths and what the dominant concerns are for Snyder’s poem. In Myths & Texts the texts are sensory experiences, but instead of our culture’s five senses, the Buddhist fashion it regards mind as the sixth sense. Myths are the little stories that we create or someone else creates for us, which distill the elements of the stories into archetypes or clarify the qualities of the elements so the elements are seen as archetypes. For Snyder, in Myths & Texts first part, Logging section 2, there is a collage of texts, which trace several ways of seeing the harvest of lumber. The first is religious, how cutting down sacred groves was a way to destroy another religion. Then a quick jump from Biblical times to China and then into the Northwest where we hear the tone of a documentary. This voice-over gives us just the facts in technical terms with shorthand lumbering slang along with a quick shift in time as we follow the lumber being milled and sent down the coast. Then a much more rhythmical voice, in measured ritualistic cadences as if chanting, tells us of the anonymity of the ancient religions and people for the men producing this onslaught of new transplanted societies. & burned by men, in their own praise. Then from those particular tones Snyder’s narrative turns into a personal first person vernacular account of logging, with the logger suffering “from bitter dreams”. The Cat that ends the stanza is a Caterpillar Tractor, used to bulldoze hillsides and carry or drag downed lumber. Then the documentary or official tone reenters the poem, giving us the figures for the logging operation if the optimum circumstances are maintained: “If both Cats keep working/& nobody gets hurt”. The irony of the last phrase is intended, whereas the speaker is only speaking for the employees or the loggers. Actually a great many creatures get hurt or killed or displaced when a bulldozer cuts paths through forests. Another technique Snyder uses is more cinematic, less reliant on the juxtaposition of tones from shifting texts. In section 4, there occurs a polyphonic montage of a lumber harvest, but with visual references to Japanese culture. One way to imagine this section is as a newsreel documentary, images intercut with sparse commentary. This string of images will demonstrate how lumber comes from trees and what end products—pine boards for theater floors—that particular species may provide. Intercut into this documentary are images of a mostly bare stage with a wooden floor with an actor stamping his feet. Seami Motokiyo is the most famous Noh theater playwright. Here, spliced into the film, the main actor stamps his feet on the pine floor boards as he plays the Doer in Seami’s play Takasago set in the city of Ise, where a shrine to the Sun Goddess is surrounded by ancient pines. Toward the end of section 4 the Doer moves off-stage, metaphorically gone, physically returned to being an actor, just as Kwanami, Seami’s father, who was also a Noh actor and author, may be also absent from life, but not memory. According to Katsunori Yamazato, one of Snyder’s critics, the play’s plot portrays the Doer as the spirit of one of the great pine trees. In the shape of an old man the Doer/pine spirit engages a traveling priest in conversation. By telling his story to a priest the Doer gains release from this world as a ghost and the Noh play ends with song and/or dance in celebration of this transformation. The journey of the felled pine trees “A thousand board-feet/Bucked, skidded, loaded—” through its natural habitat of water with all the attendant creatures is also shown, along with the sparse actions and only one line “Today’s wind moves in the pines” which is probably from the Noh play. Snyder often employs this particular montage technique leaving the reader with a complex image, series of images or cycle of pictures. There is no explicit meaning or commentary supplied. The question of values—does this belong to the preceding actions—often is left open. The reader acts as witness to this dual journey, images and values in transformation, and may draw some conclusions about it from his or her experience. The next section shows us an array of conflicting value judgments about the worth of texts, words, philosophy, politics, economics and art. How do we or don’t we apply these value judgments retroactively to Section 4? That is left up to the reader, again, but the juxtaposition of this cinematic rendering of wood while it becomes a sounding board for an actor’s feet next to a highly inflected and opinionated language polyphonic collage does create in the reader the need to try. And this is how Snyder creates “a story of the land-in-process, the travelers upon it, and the spirits within it” that also includes the reader. 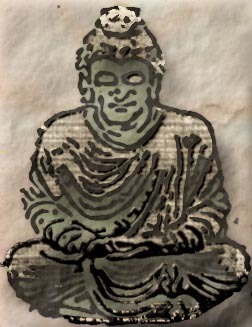 The notion of enlightenment is central to Buddhism. And this transformation also is its central contradiction. According to tradition, because everyone is already enlightened, everyone has or is Buddha-mind. What comes between our own Buddha nature and our actions is ignorance created by some of our delusive emotions. In Myths & Texts Snyder presents a selection and dispersal of negative emotions and ignorance and indicates how this occurs and/or shows when an entry into an enlightened state may occur. The technique of selection is crucial because this poem is by its nature not the quest for something, or someone’s quest, but a journey among multiple events, actions and things. I am indebted to the scholarship of Katsunori Yamazato for the following example of how Snyder works with the notion of enlightenment. In Myths & Texts Gary Snyder edited a passage from John Muir for his poem’s own needs. “After scanning its face again and again, I began to scale it, picking my holds with intense caution. I was suddenly brought to a dead stop, with arms outspread, clinging close to the face of the rock, unable to move hand or foot either up or down. My doom appeared fixed would be a moment of bewilderment, and then a lifeless rumble down to the glacier below. My mind seemed to fill with a stifling smoke. But this terrible eclipse lasted only a moment, when life blazed forth again with preternatural clearness. I become possessed of a new sense. my trembling muscles became firm again; every rift and flaw in the rock was seen as through a microscope, and my limbs moved with a positiveness and precision with which I seemed to have nothing to do. Gary Snyder inserted a few words to create runaway emotions. appeared fixed. I must fall. forth again with preternatural clearness. Katsunori Yamazato in his dissertation, Seeking A Fulcrum, Gary Snyder and Japan (1956-1975) states that when we see some significant content words left out by the poet, we begin to understand how he would like to interpret Muir’s rare experience. In the middle of line 19, the poet omits the following passage from Muir: “The other self, bygone experiences, Instinct, or Guardian Angel–call it what you will–came forward and assumed control.” Muir’s dualistic notions are rejected by Snyder, and instead, he seems to direct the reader to the monistic notion of satori (or kensho) in Zen Buddhism. Keith Kumasen Abbott is a poet and calligrapher, and the author of numerous poetry books, novels and short story collections as well as the memoir Downstream from Trout Fishing In America (Astrophil Press, 2009). This entry was posted in Poetry, Poetry Society and tagged Black Bart, Buddhism, California, California Poetry, Ezra Pound, Gary Snyder, Keith Kumasen Abbott, Modern Poetry, outlaw poets, Poetry, Poetry Blogs, Poetry Lectures, Poetry Lessons, Poetry Society, Poetry Talks, Poets, San Francisco, Schools of Poetry, The New Black Bart Poetry Society, William Carlos Williams. Bookmark the permalink.